Sometimes there music files you have on your iPod touch that you have unfortunately accidentally or intentionally have deleted so you want to transfer music from iPod touch to computer. While it may be impossible for some to visualize how to do it as upon synchronizing your iPod touch to your computer all music files that are not stored on your computer will eventually be deleted on your iPod touch. There are some free softwares you can find free for download on the internet that will enable you to save all your store music from your iPod touch and have back up in your computer. There is software for each operating system that lets you copy Music from iPod touch to computer. This Senuti program is best used if your computer is run by a Mac operating system. This program has been created long ago to be able to copy music from iPod touch to computer. The newest version, the beta one, can now accommodate the copy music from iPod touch to computer even on newer versions of the iPod touch and iPod. You can download it for free and install it right away on your computer. It will then recognize the music saved in your iPod touch and those that are already saved into your computer. Just click on the transfer button on the software and it will instantly copy music from iPod touch to computer. Windows users also have a program they can use to save music from iPod touch to computer. Winamp is a free program you can download and install in your computer. Open the program and plug in your iPod touch to your computer. You will then see a list of sources and you should be able to find your iPod touch there. Select your iPod touch and the screen will split into two but don’t panic. You will then see a list of artists and albums on top and the list of all the songs at the bottom. Select anything you would like to copy, right click on it, choose copy to local media and it will now start to Copy music from iPod touch to computer. By default it will save your chosen files to you’re my music folder so you should be able to find your ripped songs there. Be patient when you do this as it can quite a while before it will finish ripping. 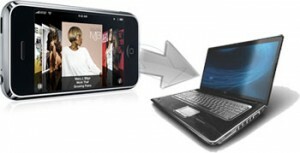 You can also choose to use Yamipod when you transferring music from your iPod touch to the PC. While this program can work on all operating systems such as Mac and Linux, this works best with a Windows operating system. This program comes in handy if you also have friends or other people wanting to transfer music from your iPod touch to the PC as it is stand alone software which can run from a USB. There are now free soft wares to help people transfer music from iPod touch to Pc. Whether you accidentally deleted your music files or you intentionally did, you can now back up, restore and transfer music from iPod touch to computer with these free soft wares.